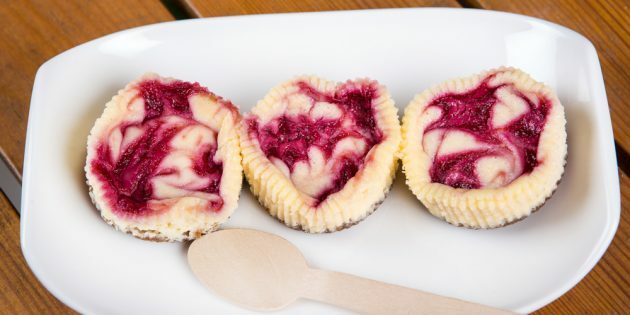 Grab a box of cinnamon almond crackers to make these adorable mini cheesecakes. Must chill for 1 to 2 hours. 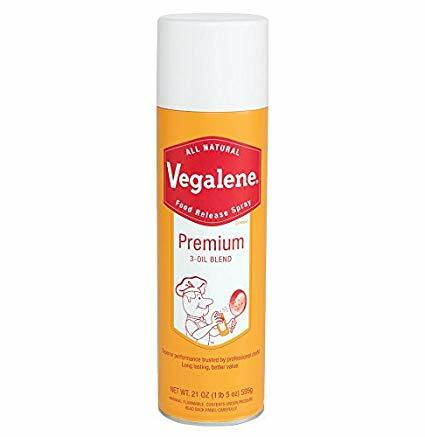 Spray 4 mini springform pans (4″ size available from Wilton) with nonstick cooking spray (I like Vegalene.) and set aside. In the bowl of a food processor, pulse together the nut thins, butter, sugar and cinnamon into very fine crumbs. Divided equally between the four springform pans. Using a piece of plastic wrap, press the crumbs down firmly on the bottom and half way up the sides of the pans. Set aside. In a large bowl or bowl of a stand mixer, add the cream cheese, sugar and almond extract. Beat with an electric mixer until smooth and creamy. Add the eggs, one at a time, beating well after each addition. Divide equally between the four pans. Use one tablespoon of preserves per pan and swirl in the cream cheese mixture. Press 5 fresh raspberries into each one of the mini cheesecakes. Bake for 30 minutes or until the centers just barely jiggle when tapped. Remove from the oven and place on a wire rack to cool for 30 minutes. Place in the refrigerator and chill for at least 1 to 2 hours. Pop out of springform pan and serve topped with whipped cream if desired. Note: You can also place these in a muffin tin. Divide the ingredients by 12 instead of 4 when assembling and bake for 20 minutes. Use cupcake papers if desired instead of using non-stick cooking spray. It will be easier to pop them out of the muffin tin with the papers when done. Have fun with other berry flavors if you want. Blueberry or strawberry would be just as tasty. If you click on any of the links on this blog or page I will receive a small stipend. For some nice mini springform pans try out these from Wilton. The ones I’ve linked here come in a pack of three and make a 4″ cheesecakes. 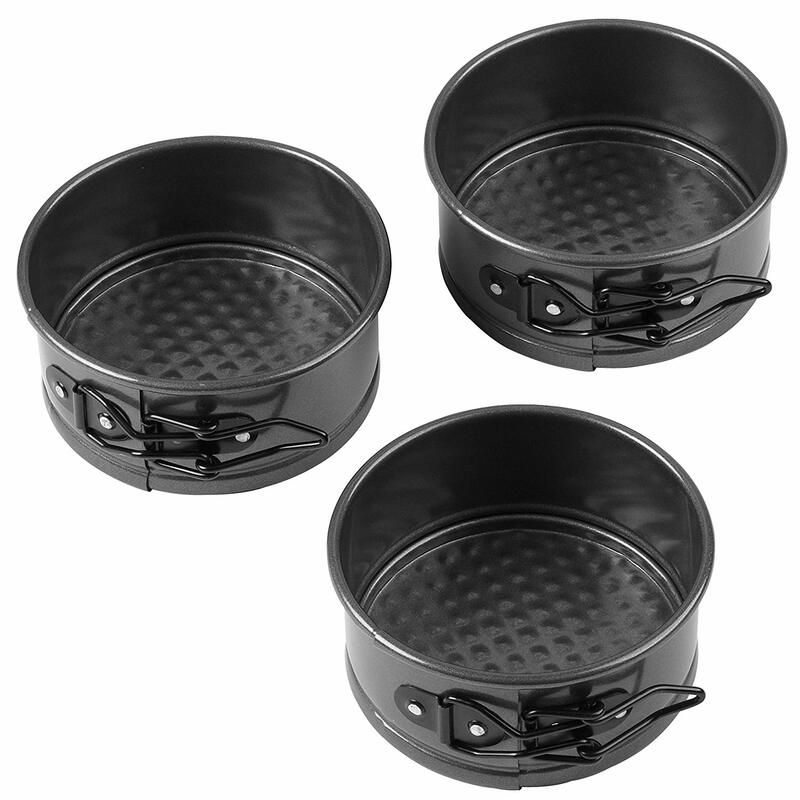 They are made of all steel nonstick construction that provides easy release from pan and easy cleanup!! 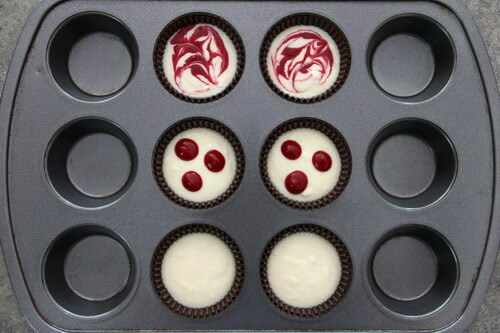 These mini springform pans are perfect for cheesecake, quiche, mini pies, and really anything else you can think of!! Click on the link to check them out!!! 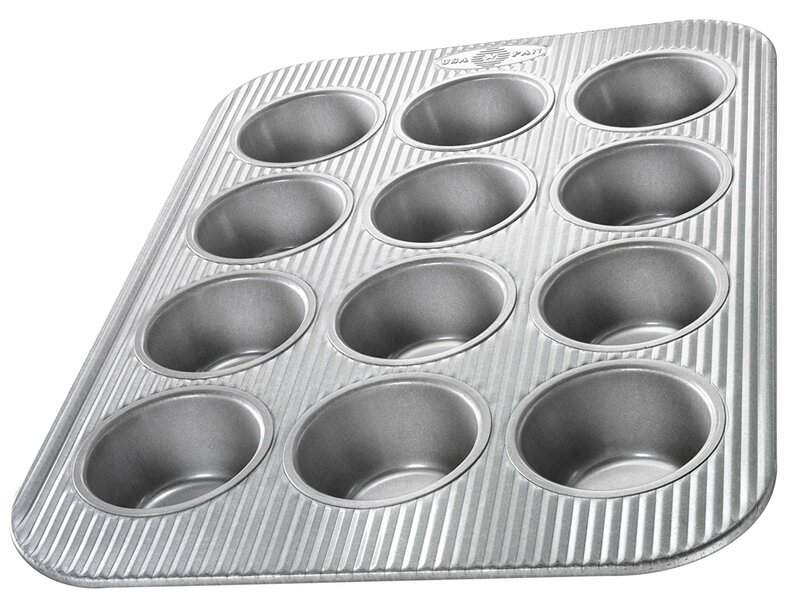 For some amazing cupcake pans you need to try the USA cupcake pans. They are made right here in the United States and are superior to any other pan I have used! They have a whole line of baking products and all of them are amazing!! Click on the picture or link to check them out!! When I bake or have to put non-stick cooking spray on my hands to make things like these popcorn balls, I use Vegalene Cooking Spray. I use this product every day. I use it on cast iron pans all the time. I found it at a commercial food show. It works amazingly well, much better than the regular grocery store brands. I’ve been sold on this for years and you can get it on Amazon now. 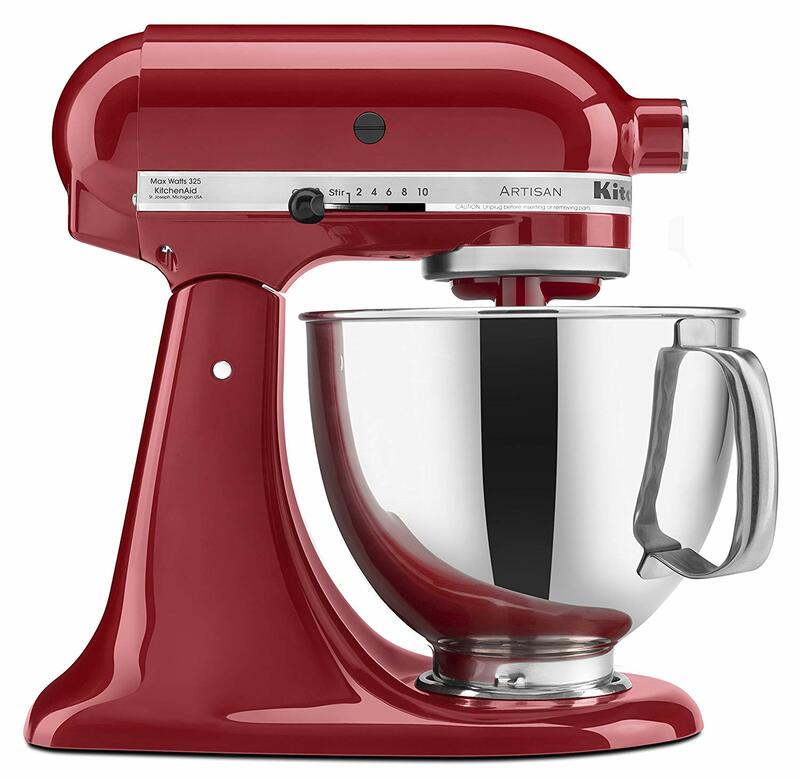 For a fantastic stand mixer check out the KitchenAid Stand Mixer! These mixers are amazing! I have had mine for years now and it still works as if its brand new. Durable and versatile! With all the attachments that you can get for this machine from pasta makers to shredders and meat grinders this thing can really do it all! They come in many different colors to match any kitchen! Check it out by clicking on the link or picture, trust me you will want one for your kitchen!